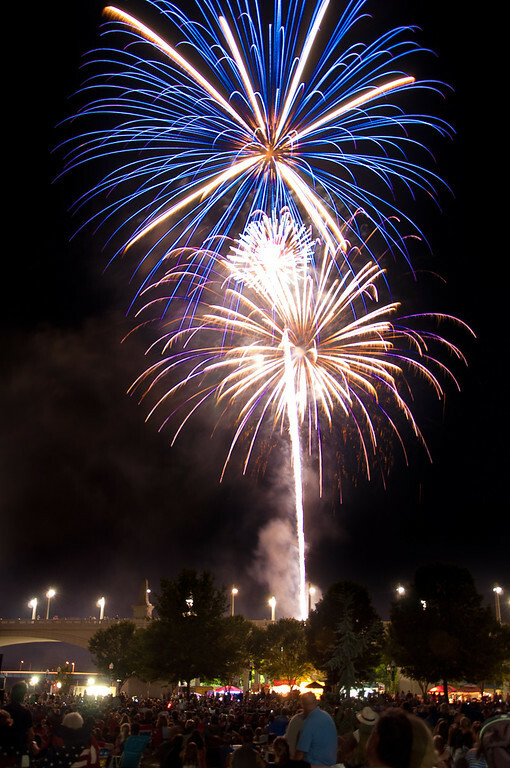 Pops on the River (Chattanooga Fireworks July 3, 2012) | Just Shooting Memories! Through out my many years, I have seen many fireworks shows. Until this year, my favorite has been the Nashville July 4th display. However, Pops on the River in Chattanooga has it beat by a long shot. The only thing they did not have was a waterfall off one of the local bridges. Other than that, the concert (Chattanooga Symphony Orchestra) was very good; traffic was reasonable and the crowd was well behaved. We got there early enough that the parking at Coolidge park was very good and it was before they closed the parking. When we left, it took us about twenty minutes to get out of traffic. Not bad for somewhere near 30,000 people. I always look at your artworks. So amazing! and I love your HDR which doesn’t really hurt the eyes. Can you make a tutorial video to do the HDR please? Your fan from Malaysia. Thank you for your interest in my work. I have several tutorials that I am working on, I had not thought to do one on HDR, but I guess I will have to add that to my list. Great catch! I like the way it came all the way from the ground to the blast… and sharp too. Thanks, Tim. You should remember my first tries from last July. I have been working on getting these better, but there just is not much of a chance, so I only get about 30 minutes a few times a year to practice. As to the sharpness, I have been working a lot with High Pass Sharpening for these photos. It seems to work really well with the bright light against a dark background.